Ohhhh, he’s an angel. Because I didn’t get that. Hey, we only have room for ONE headless guy in this series, bub! 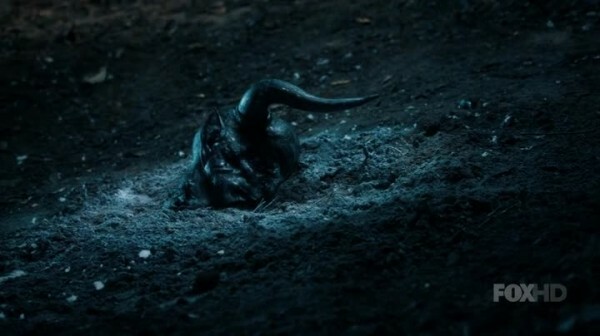 Sleepy Hollow jumps ship from it’s plotlines and starts a new thread, in a neat mid-season reboot of everything that causes characters to reflect on their life while still showing the scattered remains of a cancelled Apocalypse. The switch up is rather refreshing, both because it was so unexpected and because the end of the world danger was moving too fast to begin with. We were still down two Horsemen and five years before things are supposed to transpire. So even though I don’t trust this reboot, that’s long enough to have several other reboots that get the End of Days back on track. Ichabod, Abbie, Jenny, and Katrina awaken by the four white trees to find Moloch’s head lying in a pile of ash, no sign of Henry, and the end of the world postponed for now. 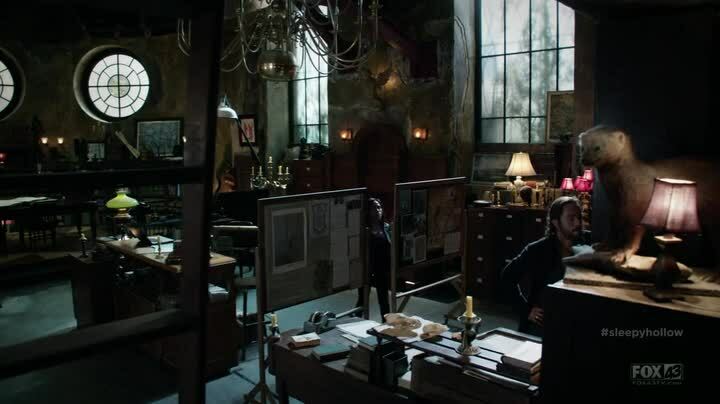 Six weeks later, things are still quite, though Ichabod and Abbie are still looking for any clue they can possibly find to show evil is still present in the city. 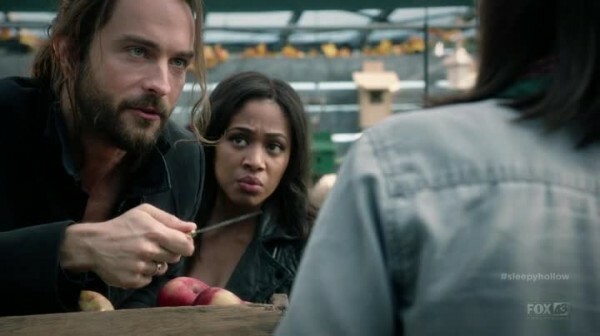 It’s enough that Ichabod takes the slightest clue of a rotten fruit as evidence of occult activity, though in this case it shows there is strange goings on at a farm. A Doomsday Cult run by actual demons (called the Devoli), who are searching for their master, Moloch. Ichabod and Abbie’s interruption of their activities are also interrupted by a random Angel named Orion, who slays one of the demons. He claims to have been trapped in Purgatory since the Revolutionary Times, where he was slain by the Headless Horseman back when he had a head, and only just now escaped Purgatory along with a lot of other people and things, including the Devoli. 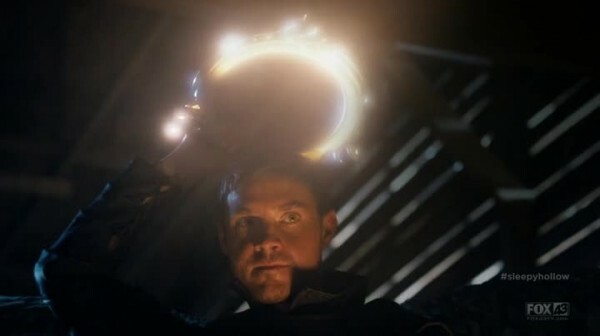 Orion claims to be the only one of the angels who goes to directly fight evil, and admires that the two Witnesses (Abbie and Ichabod) did more than just witness the end, but actively fought it. Of course, we all know this angel is going to be more than he appears, and it turns out he’s a rather single-minded destroyer of evil who has gone too far, and wants to steal the powers of the Horseman of Death for his own to purge mankind of wickedness. This better be the real non-GMO organic or I’ll cut you!